A number of tours in city focus on the spookier side of Saratoga Springs. Health, history, horses … haunted? It’s just another reason to love Saratoga Springs. Not all ghosts are spooky. If you believe that most people are good, and well-intentioned, then maybe the idea of a spirit is just a gentle “hello” from beyond. Joe Haedrich tells the stories of the people who once lived in Saratoga Springs and whose spirits live on. Haedrich’s book, Haunted Saratoga, available this fall, is a collection of these stories. On his Haunted Saratoga Ghost Tour, which includes a stroll down Broadway, he stops at the Arcade Building and tells of a terrible fire and a couple who tragically perished in each other’s arms, their beloved cat by their side. Many decades later, a woman who had her business located there, recounts the recurring, very real feeling of something brushing up against her leg. After mentioning it many times to many people, she learned of the fatal demise of the couple and their pet and decided to relocate her business to another spot in Saratoga. Go to hauntedsaratoga.com or call (518) 832-3796 for information on the tours and the book. Are there ghosts in the Canfield Casino? People have seen the roulette wheel spinning on its own, heard angry voices when no one was there and crystals chiming in the hall with no logical explanation. A credible Saratogian has seen an apparition in a flowing dress on the third floor. 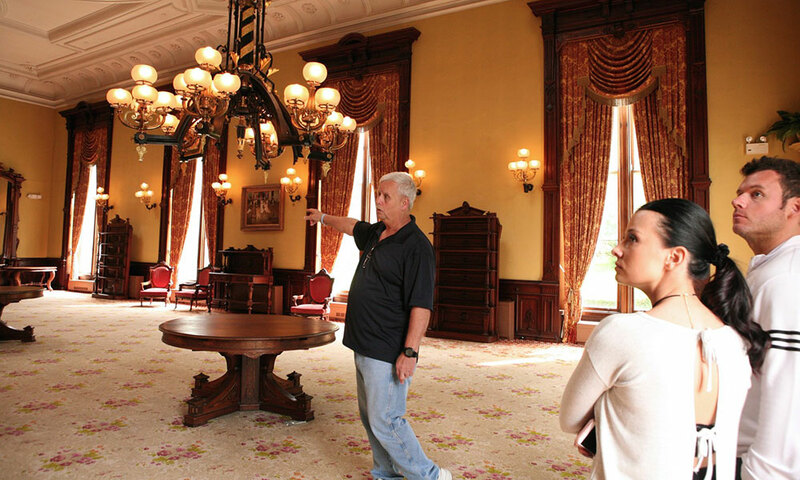 The historic building in Congress Park, which is also the site of the Saratoga Springs History Museum, reportedly has had so much paranormal activity that the Ghost Hunters team from the Syfy channel checked it out in June 2010. Watch season six, episode 18, and decide for yourself if there are spirits inhabiting the beautiful brick building once frequented by the rich and famous. “When we do our ghost tours, there is nothing hokey,” Parillo says. “We just try to tell of the things that we have experienced, whether or not we are experiencing something out of our imagination, or something that is really happening. I know that I have had some strange experiences here that I cannot explain. 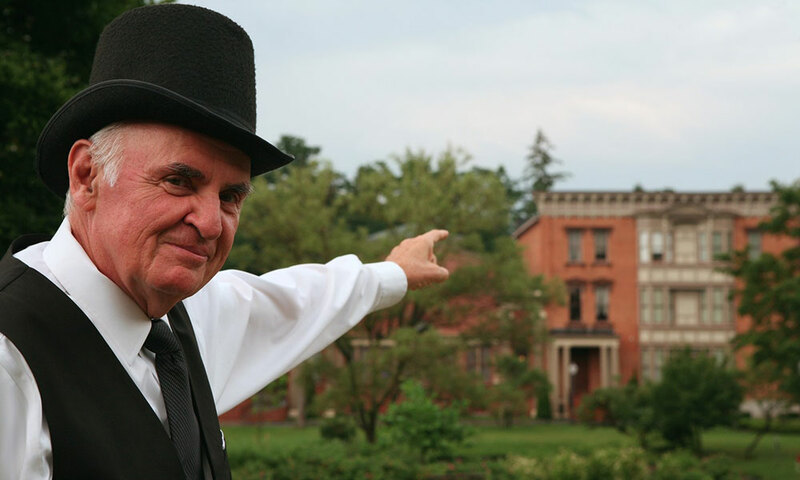 Personally I think that something has to be here, but what it is… I could not tell you.” For information on the Canfield Casino Ghost Tour, go to saratogahistory.org or call (518) 584-6920. 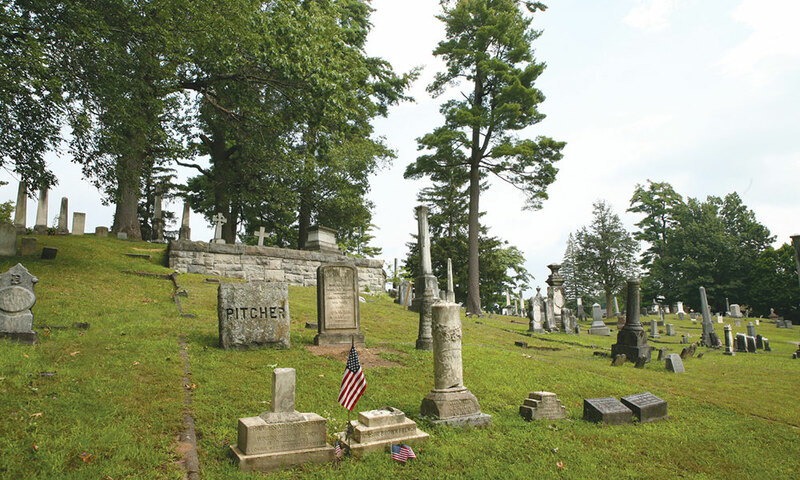 “Madness, Murder, Untimely Deaths and Strange Coincidences,” the Saratoga Springs Preservation Foundation’s Twilight Cemetery Tour at Greenridge Cemetery on Lincoln Avenue, is another unique opportunity to learn about Saratoga’s history. 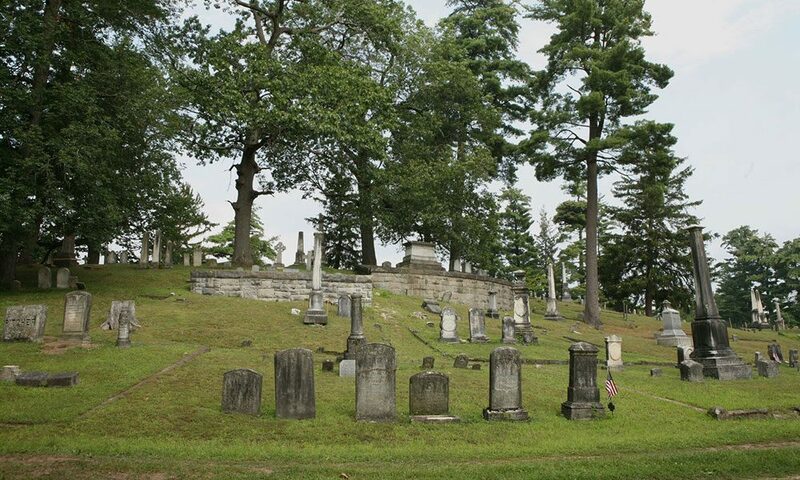 With its park-like atmosphere and beautiful funerary art, you can view the tombs and monuments of some of Saratoga’s best-known residents. It is a final resting place for prominent families, those who have made contributions to the community, and Saratogians who were and still are well loved. “Every stone has a story of a life,” says May. Ghosts or no ghosts, this event is held just once a year, and something you shouldn’t miss. For more information, go to saratogapreservation.org or call (518) 587-5030. Yaddo, the Saratoga Springs artists’ retreat, offers Ghosts in the Yaddo Garden tours on Fridays and Sundays at 5 p.m. from mid-September through Oct. 30 for $10 per person, no reservation required. 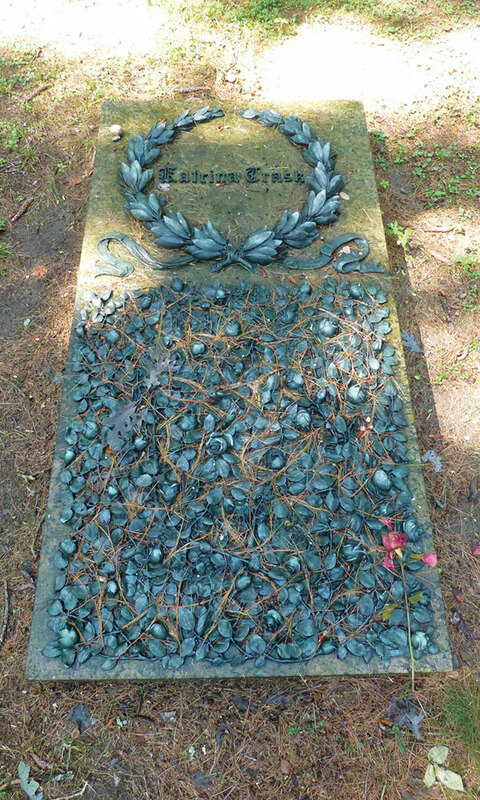 The Trask cemetery at Yaddo goes by many names: “Circle of Friends,” “Holy Hill” and “Tel-Almukaddas.” It is the spot Katrina Trask loved and selected for her burial site prior to her death in 1922. Though husband Spencer Trask’s stone is marked “Guardian Spirit Ever Here,” he and their four children rest in peace at Brooklyn’s Greenwood Cemetery. For more information, go to yaddo.org or call (518) 584-0746.